The findings showed that many of the plants consumed by herbivore dinosaurs had higher energy and nutrient levels than previously believed. Nutritional value of herbivore dinosaurs' diet was measured by growing their food. Vegetables consumed by herbivore dinosaurs 150 million years ago had a higher nutritional value than the ones human beings consume in the 21st century. In a recent study, researchers have measured the nutritional value of herbivore dinosaurs' diet by growing their food in atmospheric conditions similar to that many years ago. Previously, researchers believed that plants grown in an atmosphere with high carbon dioxide levels had low nutritional value. But a new experimental approach led by Fiona Gill at the University of Leeds has shown that this is not necessarily true. 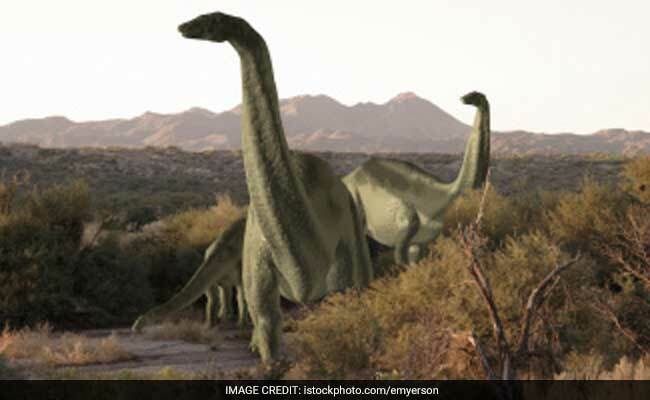 The team grew dinosaur food plants, such as horsetail and ginkgo, under high levels of carbon dioxide mimicking atmospheric conditions similar to when sauropod dinosaurs, the largest animals ever to roam Earth at that point of time. An artificial fermentation system was used to simulate digestion of the plant leaves in the sauropods' stomachs, allowing the researchers to determine the leaves' nutritional value. The findings showed that many of the plants had significantly higher energy and nutrient levels than previously believed. This suggests that the megaherbivores would have needed to eat much less per day and the ecosystem could potentially have supported a significantly higher dinosaur population density, as much as 20 percent greater than previously estimated. "The climate was very different in the Mesozoic era - when the huge brachiosaurus and diplodocus lived - with possibly much higher carbon dioxide levels. There has been the assumption that as plants grow faster and/or bigger under higher CO2 levels, their nutritional value decreases. Our results show this isn't the case for all plant species," Gill said. "The large body size of sauropods at that time would suggest they needed huge quantities of energy to sustain them. When the available food source has higher nutrient and energy levels it means less food needs to be consumed to provide sufficient energy, which in turn can affect population size and density," he added. The research didn't give the whole picture of dinosaur diet or cover the breadth of the plants that existed at this time, but a clearer understanding of how the dinosaurs ate helped scientists understand how they actually survived. "The exciting thing about our approach to growing plants in prehistoric atmospheric conditions is that it can be used to simulate other ecosystems and diets of other ancient megaherbivores, such as Miocene mammals - the ancestors of many modern mammals," he further said. The study appears in the Paleontology journal.